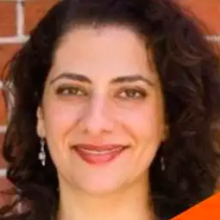 Karen Bhatia is Vice President at the New York City Economic Development Corporation, leading tech strategies in blockchain, VR/AR, and artificial intelligence to promote economic development and entrepreneurship throughout the city. Karen is also an attorney, entrepreneur and startup advisor. She founded Stanford Startups NY, a business network of over 700 Stanford University entrepreneurs and investors in NYC. Karen has a Bachelors degree from Stanford University, a Master’s degree in Public Policy from Harvard and a Juris Doctorate from George Washington University Law School.